HarrodHorticultural: Rabbits, Pigeons and Weeds - Garden Trouble Comes in Threes! Rabbits, Pigeons and Weeds - Garden Trouble Comes in Threes! Three of the major pest groups likely to cause havoc in any vegetable garden or allotment plot are animals, birds and weeds - and here at Harrod Horticultural we recieved an e-mail from a lady in south-east Scotland whose plot is afflicted by this terrible trio! Alyson is planning to expand her vegetable plot and is looking for some advice on how to combat this three-pronged attack. 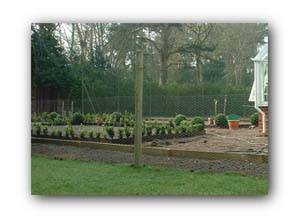 Should she go for a fruit cage to cover the whole area, net individual beds or fence off the entire area? 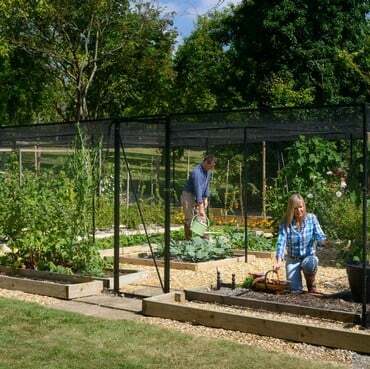 I think you’ve already identified that the road to tidying your garden forks in two directions, and the first way sees a fruit cage covering the entire area giving you the freedom to work inside with the crops safe from rabbits and birds. This is likely to be the most costly solution and doesn’t solve the weed problem but does offer you a completely protected environment in which to grow, with possibly only any brassicas plants requiring extra netted protection from cabbage white butterflies. If you’d like us to quote for a cage to cover the area, have a measure up, drop us the dimensions and we’ll give you an idea of price. The second route you could take – and I think this is my slight favourite but don’t let that sway you! – is to install a rabbit proof fence around the perimeter of the area you wish to grow in. This method has the advantage of being much less expensive and a fence made from galvanised rabbit wire (don’t forget to dig it in the ground around 6” and curve it underground in a lip away from the fence to deter rabbits from digging downwards at the fenceline) and wooden posts will look attractive, will act as some kind of windbreak but shouldn’t create a frost pocket or any kind of wind eddy. You could also tap into the valuable resource you have – the weeds – by allowing them to colonise the wire and create a ‘living fence’, providing both a food source and refuge for a large number of beneficial insects and pest predators. And method this could open up a way to combat the weed encroachment as well! Let them have the fence as described above along with a small margin inside and instead of strimming, use a lawnmower to run around the inside of the perimeter; this should be easier than strimming and cause little or no damage to the fence. Back onto a general theme and you might want to consider constructing permanent pathways between the beds. You don’t have to get involved in any civil engineering tasks; clearing the area of weeds, scraping off the top inch or so of turf or soil and laying down some ground cover or mulching fabric covered in a good depth of bark for example (at least 2”) will create a suitable walkway and remove the job of removing encroaching weeds from the calendar, along with neatening the appearance of your plot. 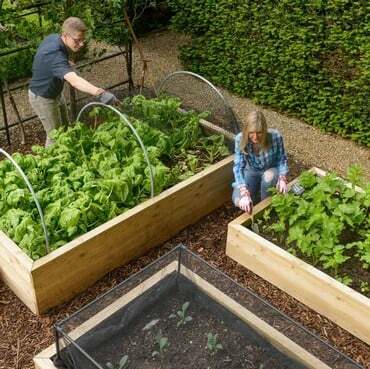 Finally, your suggestion of covering individual beds and although this is a nice idea, each bed would need to be fortified to prevent both rabbit and bird forays. 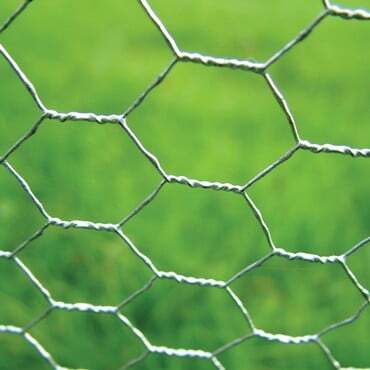 Our anti-bird netting will take care of the latter but rabbits are a cunning lot and you’d probably need to reinforce the bird netting with rabbit wire to stop them nibbling through. This would make removing the cover to gain access for harvesting or weeding almost an all day task, so I’d be inclined to place this particular method at the bottom of the list! And that’s about it! In summary, I’ve suggested two alternative solutions which you can take away and see which best fit your location and budget. No doubt you’ll have a few further questions which spring to mind and please don’t hesitate to contact us with them we'll do our best to provide you with answers and ideas! Many thanks once again for your enquiry and the best of luck with what sounds like a fascinating project in an idyllic spot!